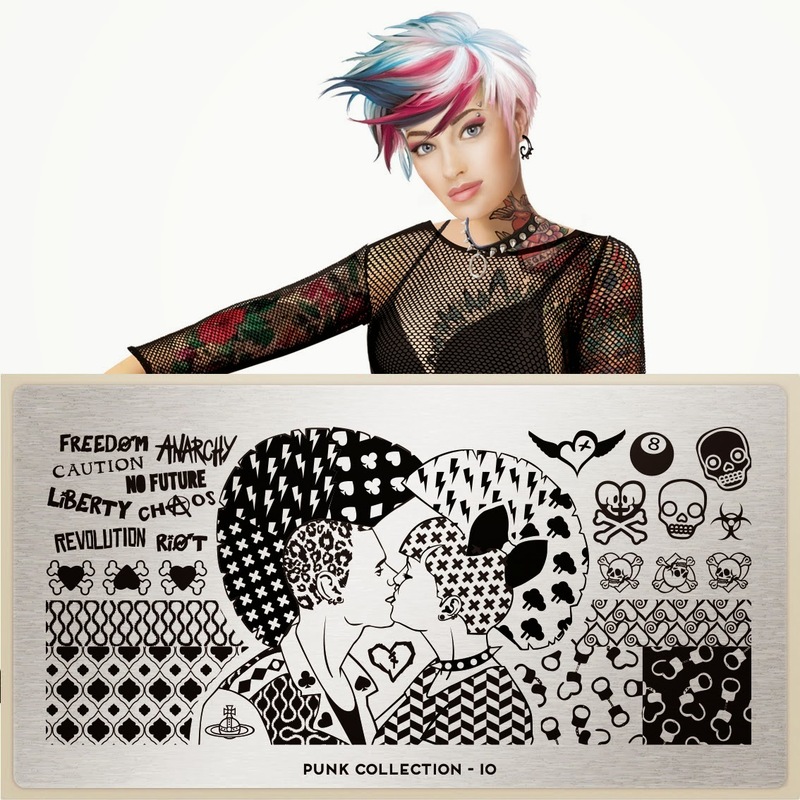 Lacquer Lockdown: Hot Off The Stamping Press: MoYou London Punk Collection Expansion! 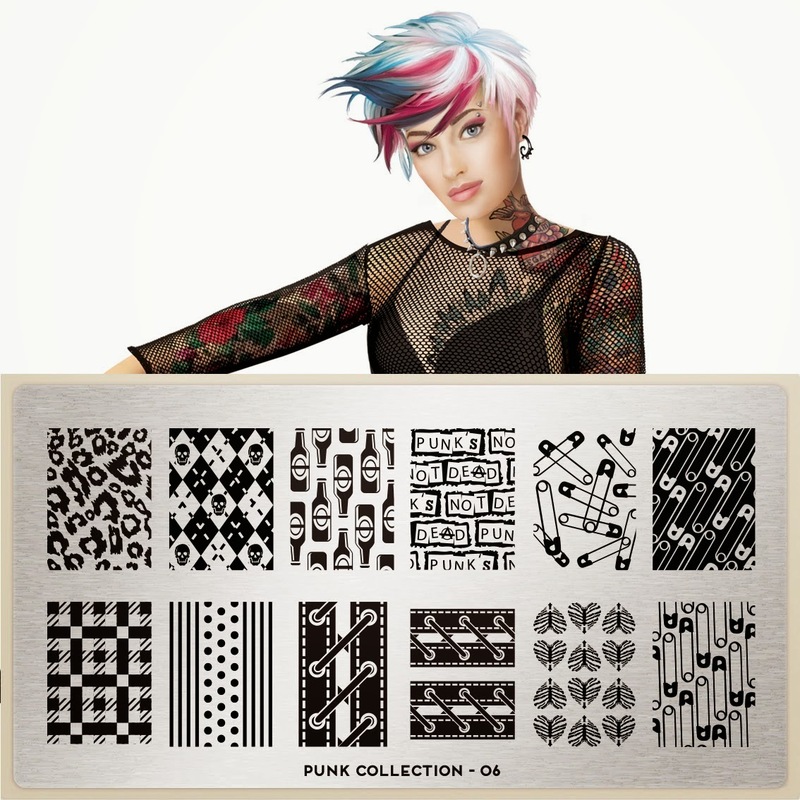 Hot Off The Stamping Press: MoYou London Punk Collection Expansion! I love the animal print everything else for me is kinda blah except the little hearts. 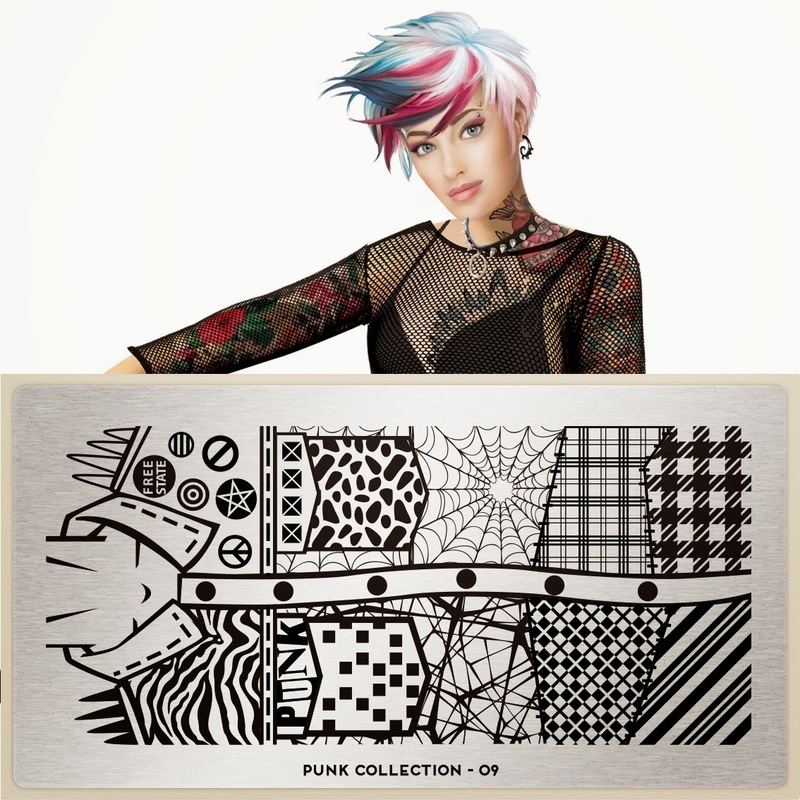 I am not a safety pin girl :/ These images are the XL version of those released on the smaller plates that released last week. The feet are anatomically incorrect ;) Lol I'm such a weird freak. I love the typography! I really wish this was more my scene. I do think the guys in the upper left hand corner are beyond cool. This version I think will probably be better than the XL version. 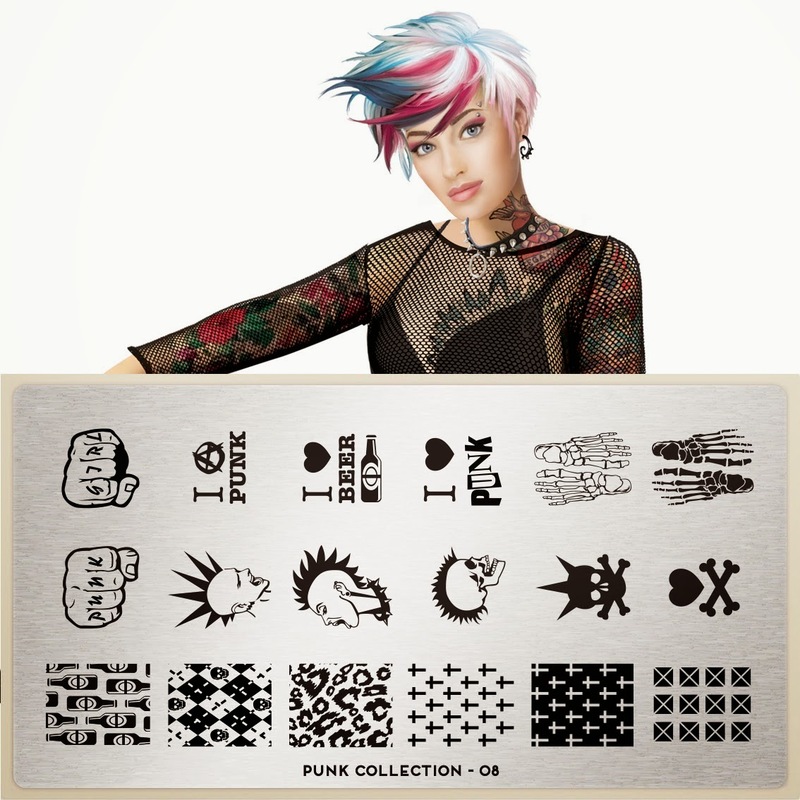 I have a suspicion the punk girl knuckles will only fit well on a nail at around this size. What do you think? 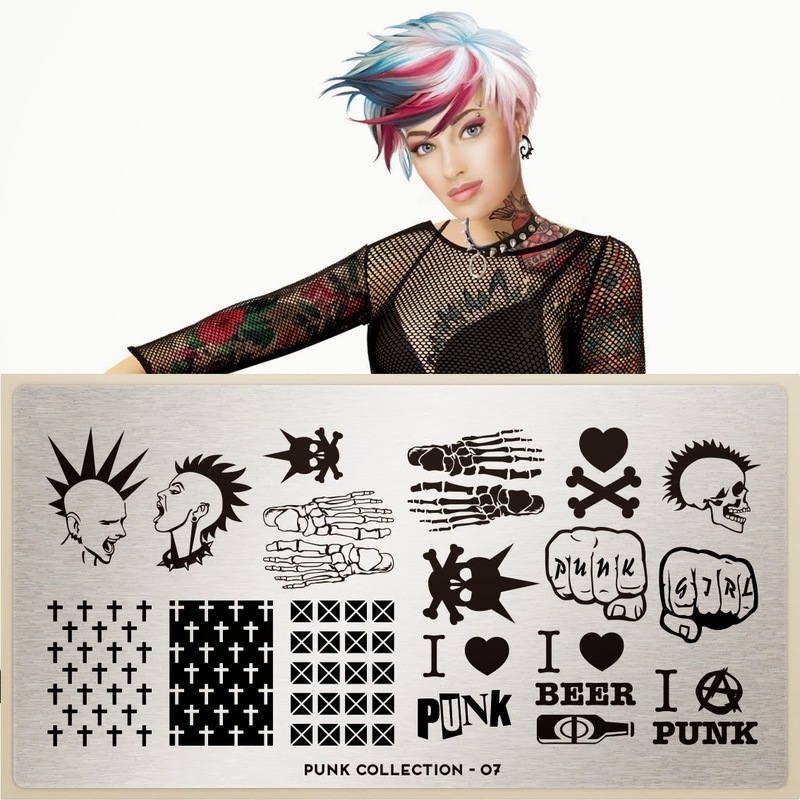 Any ladies out there dying for the punk expansion? I'm actually a little relieved my wishlist of plates keeps growing so it's nice to not actually want ALL the plates for a change :) These plates will retail for 4.99 GBP and will be available Friday on the MoYou London website. Don't forget to take 10% off using the code "Tamira10".